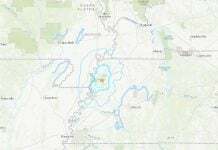 A rare M4.6 earthquake struck in the Gulf of Mexico at a depth of 6 miles about 160 miles southeast of New Orleans, Louisiana on May 6, 2018. 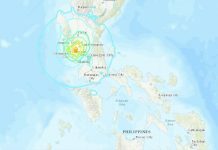 Initially reported as a magnitude 4.9, the earthquake was later downgraded to a 4.6. Up to now, it has been reported by more than 30 people on the USGS website. There is no tsunami threat, according to the U.S. Tsunami Warning System. No damage or injuries have been reported. 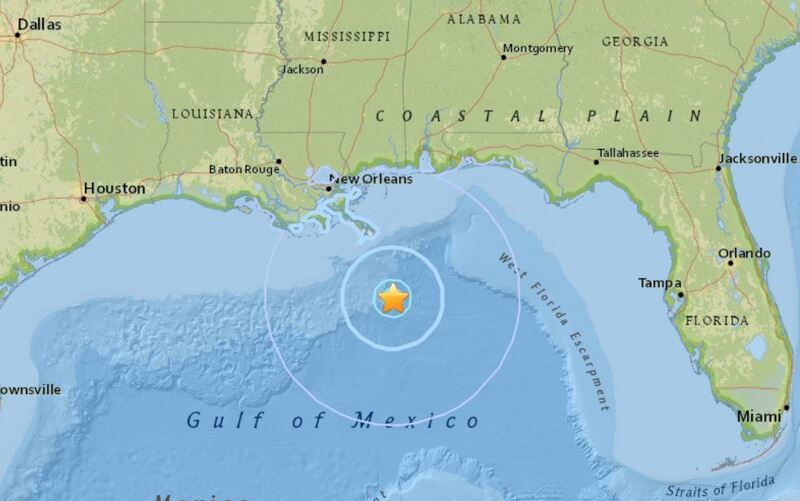 M4.9 earthquake hits off the coast of Louisiana, a tsunami is not expected along the gulf coast beaches. So something weird happened off the coast of Louisiana. Around there, there are so many oil rigs. 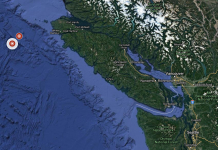 Maybe this rare shallow quake is linked to the activity of one of them? Look up Intellicast radar. There were 2 about the same size earthquakes in slightly different places. But USGS is showing only 1 earthquake on Gulf of Mexico. Are they hiding something? Today, there are not many agents around me. Usually there are many agents around me all the time. Right now, I am in Panera bread cafe. I can find only 1 customer (=agent) only! Are they so scared something, and went to hiding in their underground bases? It is really strange. Yesterday, we had good size storm with thunder and lightning in Tuscumbia, Alabama. I heard strong lightning and thunder, then right after that, suddenly ambulance or police kind of siren started. I tell you one storm can take many evil reptilians out of the Earth. One time, a Jewish guy (=agent) came to me and complained about the storm coming later that day. Do they think I can control the storm? No way! Salt Dorms (=Reptilian undersea bases) collapsed? Sometimes, you can find FIRE marks in the middle of Gulf of Mexico on Intellicast radar. Those FIRE might be from the explosions of their secret undersea bases. Galactic Federation of Light is speeding up to clean up those evil aliens’ (NOT humans) bases on the face of the Earth. The video of previous salt dorm collapse in Louisiana. There was a nuclear test in a salt dorm in Mississippi.